Kate Spade is now a globally-recognized brand, selling clothing, shoes, handbags, accessories, and even homegoods in a rainbow of colors and playful patterns. 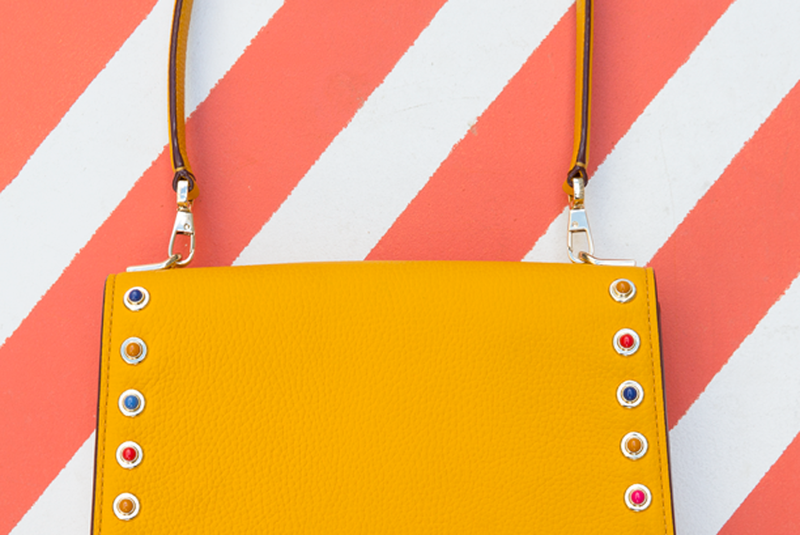 You wouldn’t know it, but Kate Spade started off small with a focus on one thing… handbags! After graduating from Arizona State University with a degree in journalism, Spade moved to New York City where she soon became a senior fashion editor and head of accessories at Mademoiselle magazine. Spade noticed that the accessories market lacked practical, stylish handbags for the everyday woman. And Kate Spade, the brand, was born. She started off with six silhouettes, then opened her first shop in 1996 with great success. Fast forward to today, the brand has 450 stores worldwide and the colorful lifestyle brand continues to grow. With popularity comes copycats and Kate Spade’s iconic styles are often attempted. Before you buy a Kate Spade bag secondhand, make sure you know what to look for. Quality is all in the details. 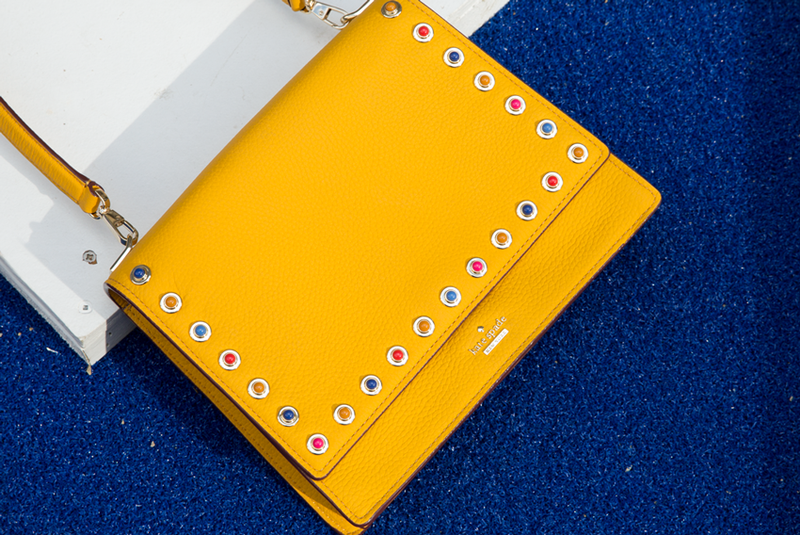 Kate Spade has used a variety of different materials for their handbags. Whether it’s Saffiano leather, suede, canvas, or wicker, the material should always reflect the brand’s quality. Saffiano leather should be stiff with a distinctive crosshatch texture and the finished edges should be clean and precise. Nylon and canvas should have a smooth texture, free of bumps and inconsistencies. The lining of authentic Kate Spade handbags will vary, depending on when the bag was made, but the most common is nylon. The nylon lining should be smooth with consistent stitching. Since the lining colors and patterns have changed over the years, this will not be a solid indicator of authenticity. 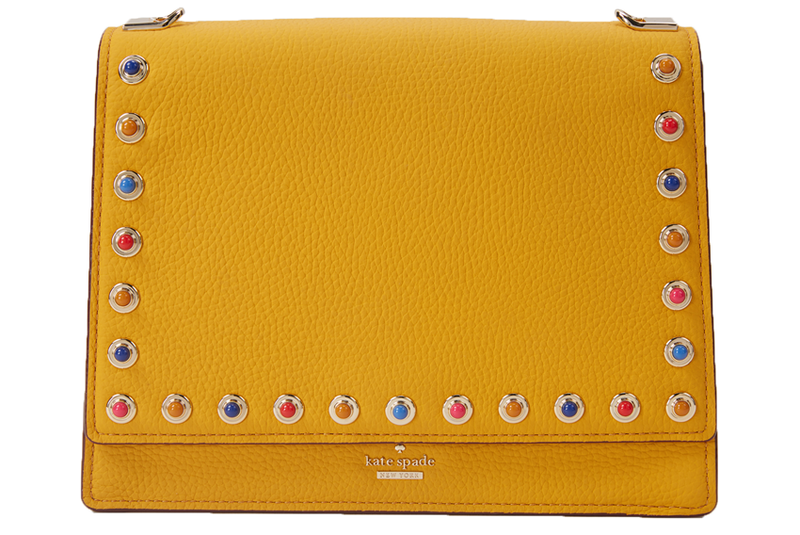 The stitching on Kate Spade handbags should be straight, consistent, and evenly spaced. 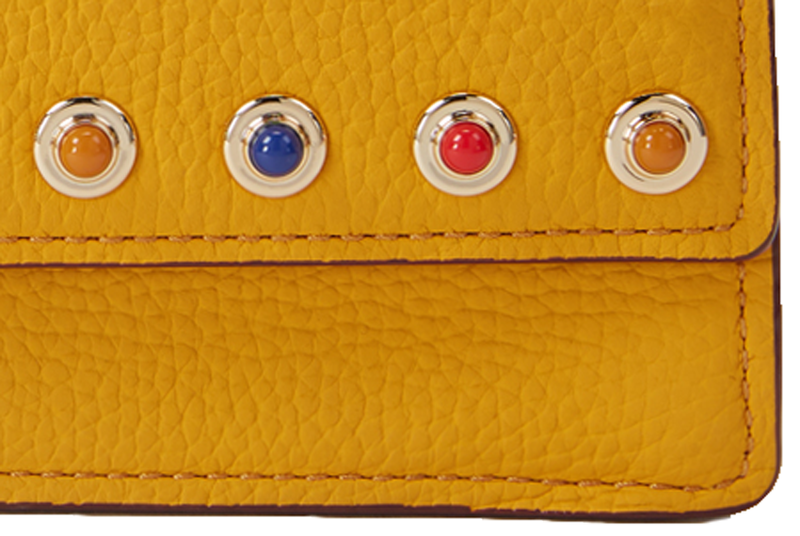 Though dependent on style, the stitching is usually the same color as the rest of the handbag. The hardware on authentic Kate Spade handbags will be either gold or silver tone and all of the hardware should match. Depending on the date of production, some bags have engraved hardware and some do not. The hardware should feel heavy and high-quality and should never tarnish or rust. More often than not, leather bags will have small metal feet, each no larger than a dime. Zippers should be unbranded with smooth bottoms. The logo and stamping on Kate Spade handbags is the easiest way to assure authenticity. 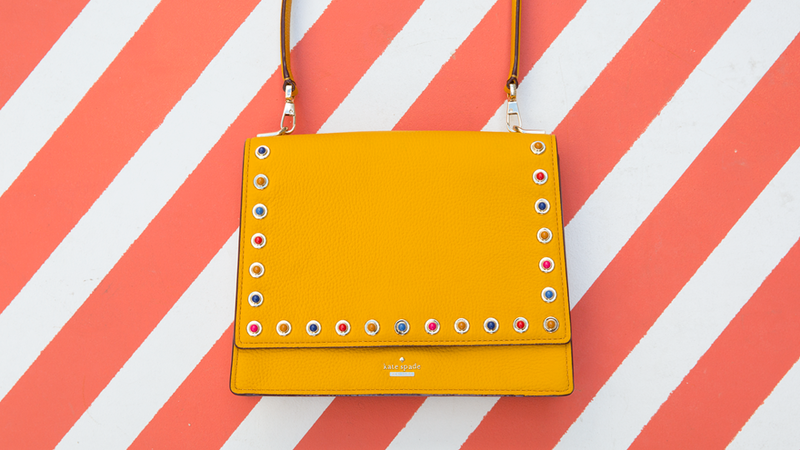 Kate Spade uses four types of labels: embossed, fabric, stamped, and metal inlay. They generally appear on the front top or bottom of a handbag.  Lettering on all labels should be lowercase (other than “NEW YORK” which is always right under “kate spade”), the same size, and the same font. If the logo ever features uppercase letters it is 100% a fake. Fabric labels will always be attached with real stitching, and will never be glued on. If the label is glued on, it’s definitely a fake. Leather stamps will display the same logo as fabric labels. Logos on every material should be straight and clear with consistent spacing between each letter. Authentic Kate Spade handbags have been produced in a total of eight countries - USA, Italy, China, Taiwan, Dominican Republic, Indonesia, Vietnam, and the Philippines. Many handbags produced before 1996 will not display an origin label, but all handbags produced after 1996 will have one. The majority of nylon bags made between 1996 and 2002 were produced in the USA (some made in Taiwan) and will have a tag featuring an American flag with “MADE IN USA” in all uppercase under the flag. Most leather, suede, and calf hair bags are produced in Italy, but the “made in Italy” tag will vary. The majority of Kate Spade handbags made after 2002, with the exception of leather handbags, are made in China and Indonesia. Each origin tag is usually sewn into the seam of the interior zip pocket. Material World guarantees the authenticity of every item we sell.